Happy Monday and Thanksgiving week! Are you ready? I'm getting there. We actually roasted a whole turkey last night, practice run. Because really, I haven't made that many turkeys. So wouldn't that be ridiculously awful to not have the turkey turn out on Thursday. Basically my nightmare. I'm looking forward to taking the leftovers and making little mini pot pies. And probably some soup too. In preparation for this Thursday we made the turkey (thank you Martha), Kabocha pudding cake, and this Blood Orange Gin + Tonic with Rosemary Syrup. 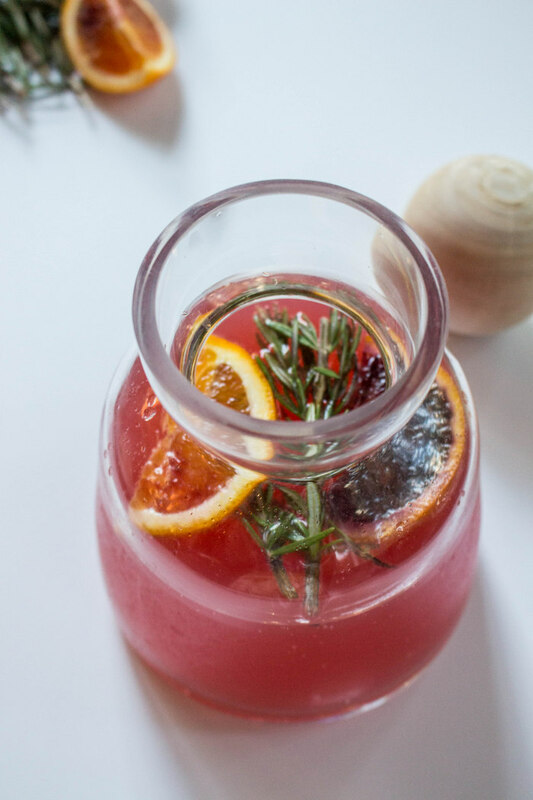 This drink was originally created for my event with Madewell, knowing that it would be perfect for the holidays. As gin + tonics are one of my most favorite drinks (except for margaritas, but I feel silly drinking those in the winter). 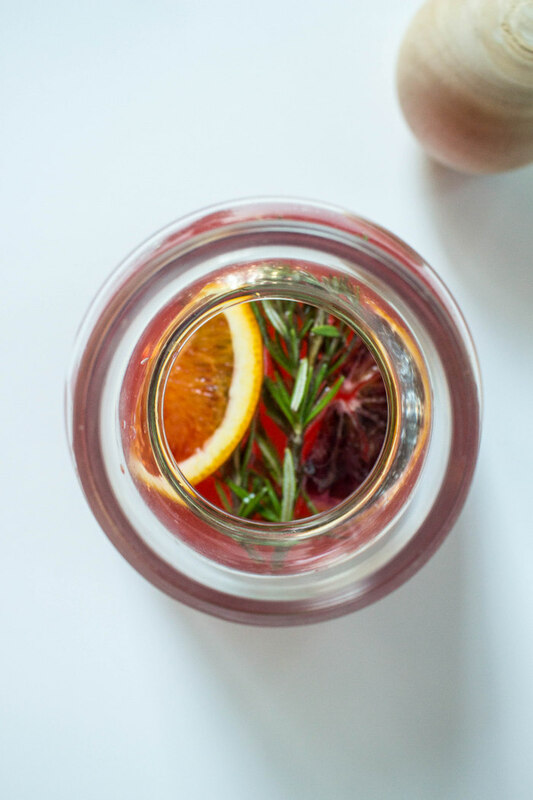 This time I created a rosemary simple syrup and added some blood oranges. Mixed in my favorite gin, and there you have it, a delicious cocktail perfect for Thanksgiving, or any day really. Cheers! In a cocktail glass, add gin and simple syrup. Give it a quick stir. Add crushed ice and top off with blood orange soda. Garnish with orange slice and rosemary sprig. NOTE: Originally when I wrote this cocktail recipe I planned to use fresh blood oranges but they were not available. But if you can get your hands on some, juice 1 blood orange and use fresh blood orange juice with tonic water. In a saucepan bring water and sugar to a boil, stirring to dissolve sugar. Once the mixture has reached a boil, remove it from the heat and stir in the rosemary sprigs. Cover and let the steep for 2-3 hours until cool. Strain and refrigerate. This drink was originally created for Madewell.